The vast majority of cases settle before going to trial. Settling avoids adding more legal fees to your case and the uncertainty of a trial, and allows you to move on with your life. However, before deciding to settle you should make sure it’s right for you and you should know your rights. To learn more about settlements and your rights related to them, read below. 1. What does it mean to “settle” a case? 2. What is a release? 3. I’ve just been fired. My employer is asking me to sign a release in exchange for severance payments. I haven’t even made any claims against this employer. Is this a settlement? 4. How do I know if it’s worth releasing my employer from a lawsuit for the amount of money being offered? 5. Should I consult with a lawyer about whether I have legal claims and whether to accept this severance? 6. What happens if my employer does something illegal to me after I sign a release? 7. Have I lost the opportunity to settle my claims against my employer if I reject the severance offer? 8. Why would my employer consider settling a dispute with me if I don’t threaten to take them to court? 9. My former employer has proposed that we go to mediation. Won’t I give up my right to file a lawsuit if I agree to attend? 10. Won’t initiating an offer to settle or go to mediation signal weakness in my case to the other side? 12. How do I know if a settlement offer is reasonable—the one the employer has presented seems too low? 13. What is an offer of judgment? 14. How can I decide whether or not to accept an offer of judgment? 15. What do you mean if I reject an offer of judgment my attorneys’ fees might not be paid? 16. If I don’t settle, will I have to pay the other side’s fees? 18. I don’t understand how my attorney calculated his share of my award. I don’t think he is following what we agreed to. What should I do? 19. What about the award of attorneys’ fees? How is that applied to the gross settlement? 20. Do I get to keep the entire amount of my settlement after I pay my attorney? 21. My friend received a large personal injury settlement. His entire award was tax free, why isn’t my award tax free? 22. In a contingency arrangement, why is my lawyer getting one-third of the gross settlement instead of the after-tax amount of the settlement? 23. How will any settlement I receive affect my tax bracket or tax obligations? 24. My lawyer is pressuring me to settle. Isn’t it my decision whether we should settle the case? 25. My lawyer says if I do not accept the settlement being offered she will withdraw from representing me. I am confused and angry. What steps should I take? 26. I’ve talked to my lawyer. We still disagree about settlement. He wants to make a motion to withdraw from my case. What do I do? 27. I’m tired of litigation, and just want the case to be over. Should I take less than my attorney tells me my case is worth? 28. I’ve been told that I will have to keep the settlement amount confidential if I settle the case. Do I have to agree to this provision? 29. What happens if I reveal one of the confidences in my settlement agreement that I am supposed to keep secret? 30. My proposed settlement agreement permits me to speak with my immediate family members without breaching the confidentiality provision but doesn’t include my live-in partner. If I can’t avoid discussing the terms of the settlement with my partner, will I have violated the agreement? 31. How can I choose an attorney who won’t undersell the value of my case, but who understands I don’t want to litigate forever? Under most civil rights laws and anti-discrimination statutes, if you prevail in your lawsuit you will be awarded reasonable attorneys’ fees and costs payable by the other side. 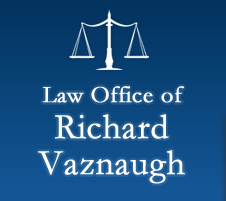 (See our site’s page on attorneys fees for additional information.) Depending on your own fee arrangement with your lawyer, this may significantly impact your recovery. When you reject an offer of judgment and do not obtain a greater award than the offer at trial, you will not be able to request payment by defendant(s) of your attorneys’ fees for any of his or her time spent after that rejection. Because of this potential penalty, you need to discuss the pros and cons of accepting or rejecting an offer of judgment with counsel. This is a serious legal decision which cannot be summarized adequately on this website. You must weigh the pros and cons of this decision with your lawyer. 21. My friend received a large personal injury settlement. His entire award was tax free, why isn’t my award tax-free? You need to consult an accountant or tax lawyer about this question. Most attorneys who represent plaintiffs in employment-related cases do not have the training to advise you about tax matters. You should be aware, however, that any sizeable award can impact your income tax situation significantly.